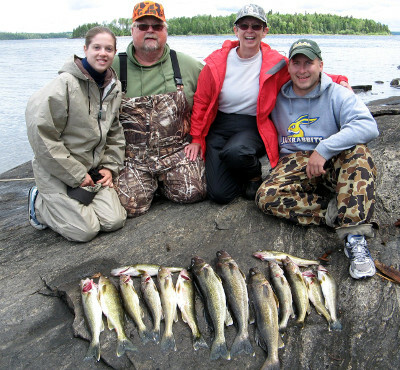 What can you expect at our outpost camps on Lac Seul? 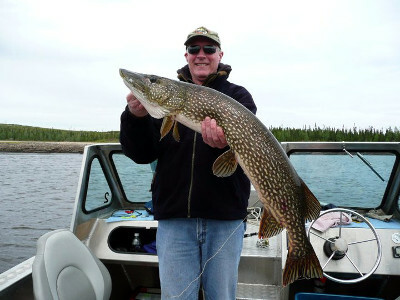 Well, first of all we suggest that this type of package is designed for people who like to be “on their own” and appreciate the remoteness of a cabin in the vast Canadian north. 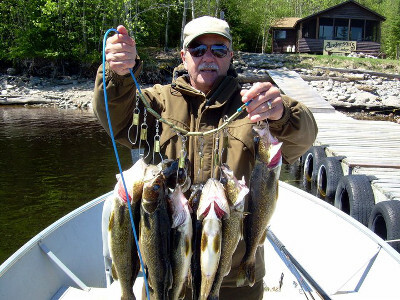 It’s a fishing vacation on your own schedule, doing your own thing – fish, eat and sleep as long as you want, whenever you want! 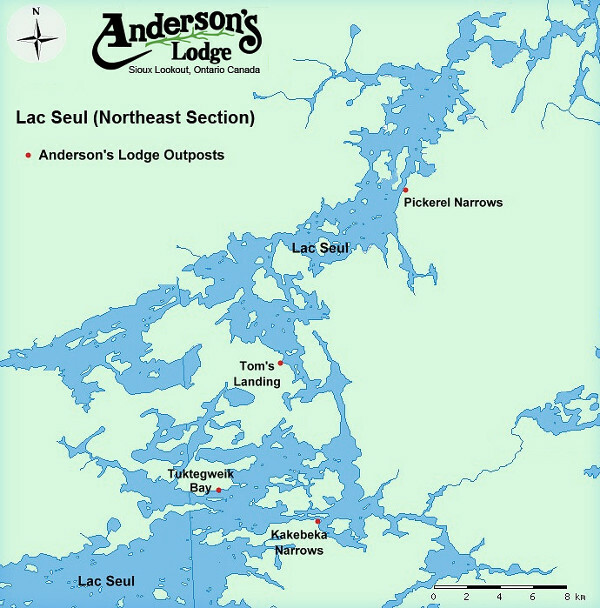 Complementing the rest of our operation, Anderson’s Lodge outposts are spacious cabins finished in pine and cedar, with screened in porches, double beds furnished with box springs and mattresses by Simmons – no army camp cots or sagging, aged mattresses. 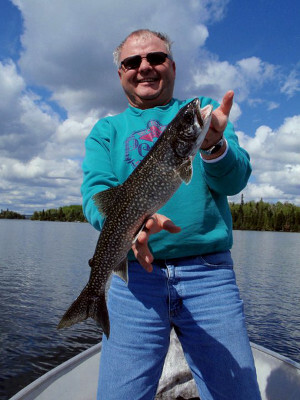 These cabins are equipped with either propane or electric refrigerators, propane stoves with ovens, all cooking utensils, pots and pans, plates, cutlery etc. We also have gas grills for those favorite B.B.Q. dishes. Solar panels are the energy source for running water to the cabins along with hot showers – no hauling water here! The cabins have lights that turn on with a flick of a switch. Wood stoves and plenty of chopped firewood are ready for any “cool” temperatures that you may encounter. 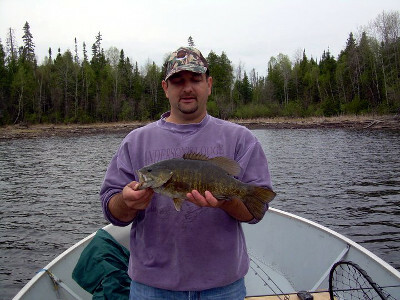 Screened fish cleaning houses are complimented with propane deep freezers to keep your catch. Now that’s first class when it comes to staying at an outpost camp. 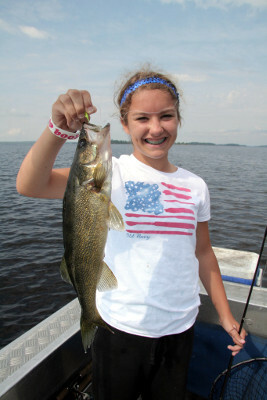 Does anything else on Lac Seul come close? Not a chance! Pressure treated, 8′ wide “floating” docks allow for ease and convenience of getting into and out of our 16′ Lund boats, regardless of water levels. Our deep & wide 16′ Lunds are equipped with new 20 h.p. 4 stroke Mercury engines (no 9.9 h.p. compromises here). 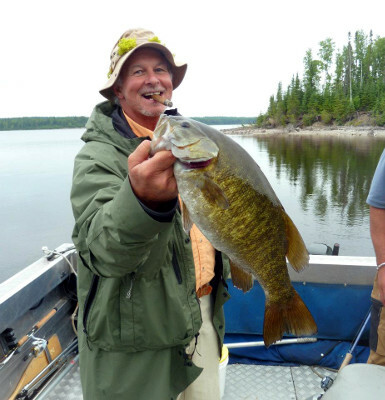 New engines mean they work and there is never any lost fishing time. 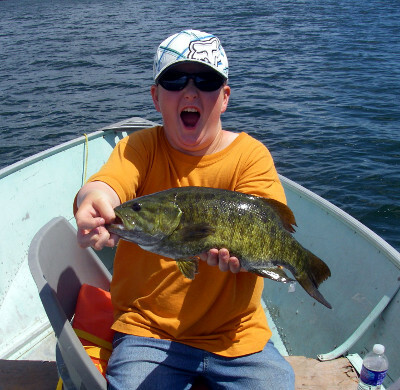 We supply swivel boat seats, seat cushions, paddles and landing nets as well as minnow buckets – both for in the boat – including minnow storage at the dock. We also include all gasoline in this package so there are no “surprise” gas charges at the end of your stay. 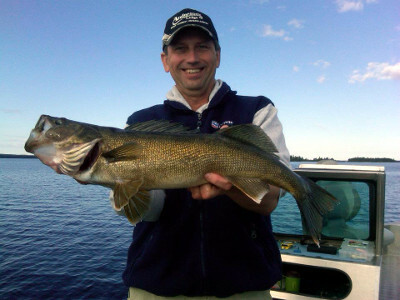 We know you’ve heard stories from the guys at the office or at the local tavern bragging about the HUNDREDS of fish that they caught fishing in Canada. Hard to believe? Well it’s all true! 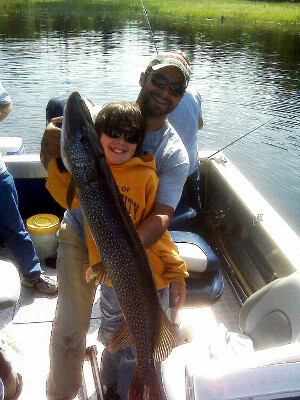 If you’re nuts about fishing and have an appetite for the great outdoors this is exactly the action you’re looking for. Picture yourself in the middle of nowhere, without the day to day pressures, stresses and expectations of life. 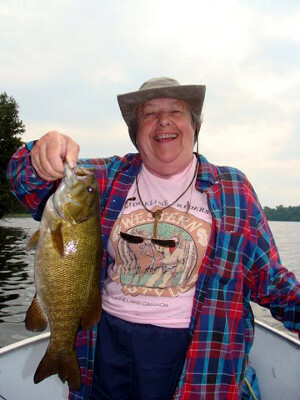 You are your own boss, with one goal – FISHING! 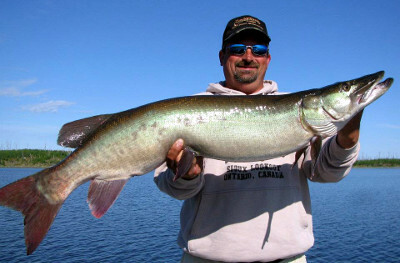 How about fishing action? 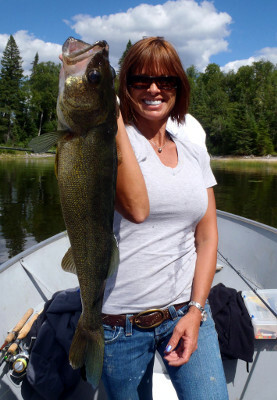 Water currents from the Atikwa, Root and Vermilion River systems meet to provide ideal feeding and spawning conditions for tremendous Walleye fishing. 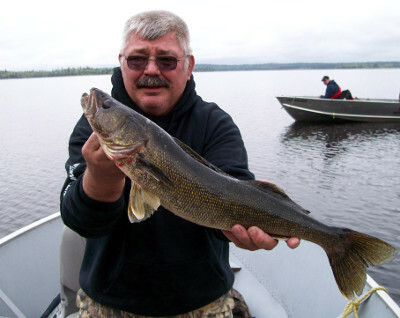 Lac Seul will produce sheer numbers of Walleye but it also has the ability to produce big fish consistently. 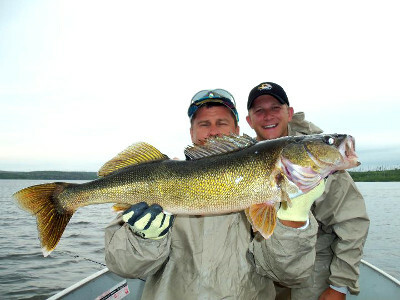 Walleye in the 6 to 12 pound range are in fact common. 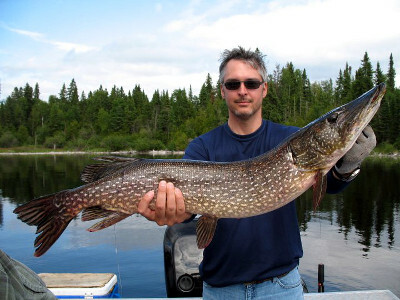 What about Northern Pike fishing? – you just can’t beat it! 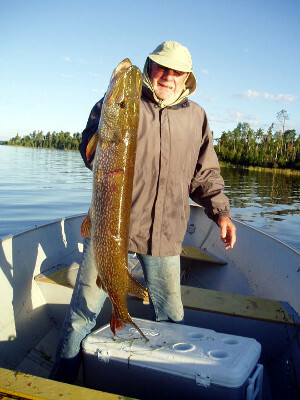 Casting the vast bays teaming with weed beds or trolling rocky shoals will produce ideal conditions for Northern Pike in the 9 to 15 pound range. 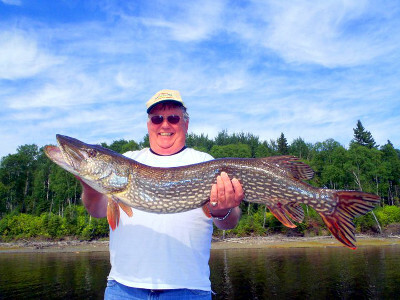 Lac Seul trophy Pike range from 40 inches plus – this year’s camp record was a 48.75 inch release! 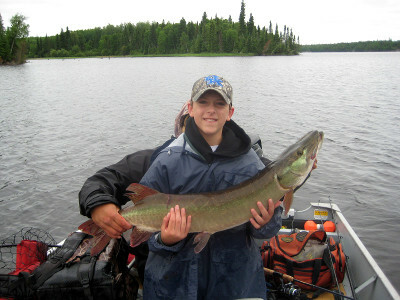 The dark mineral stained waters of Lac Seul are also home to trophy Muskie! 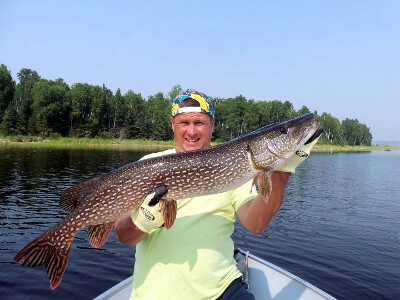 This elusive giant also cruises the many bays and can’t resist a swipe at a good bucktail or Topraider! And when they hit, it will “bulldog” every bit of your arm strength, so hang on and have fun! 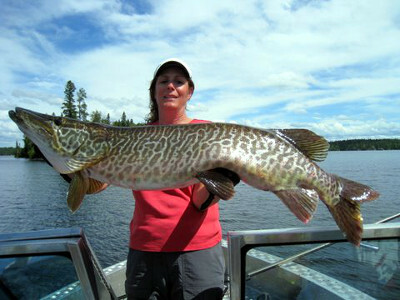 This world class live release fishery produced a few years ago what was considered to be the “world record” at 63 inches. 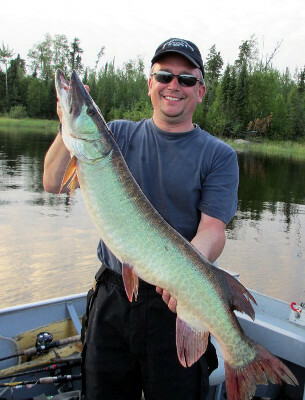 This year we had releases measuring 50+ inches with our record being a whopping 53 inches! 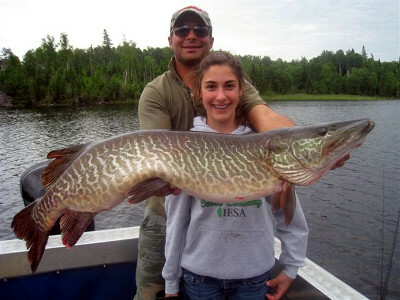 Imagine the rush of having one of those “huge beasts” on the end of your line – Wow! 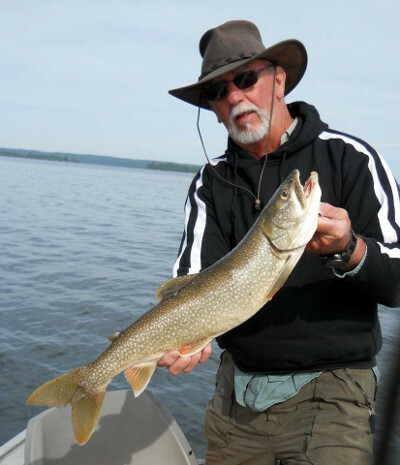 We recommend arriving the night prior to your package starting, so we can review lake maps, point out some current fishing information, review fishing regulations, prepare fishing licenses and place a bait order (normally minnows are standard fair). After these details are looked after, you can relax and unwind after your day of traveling. Should you choose to arrive the night prior to flying in, we will be happy to arrange accommodations for you. 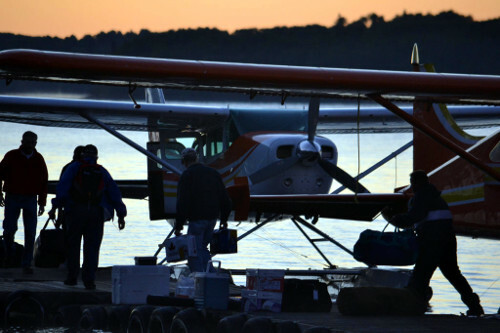 These packages include your flight and we schedule our flying at first light from our base camp and personally load your gear giving you that special attention you deserve – no crowded float bases and “uninterested” pilots loading you. We put you into the outpost as early as possible so you can get to the business of fishing, and fishing is what it’s all about of course! The same is true upon your departure from the outpost, we will get you out of the camp as early as possible so you can get an early start for home. 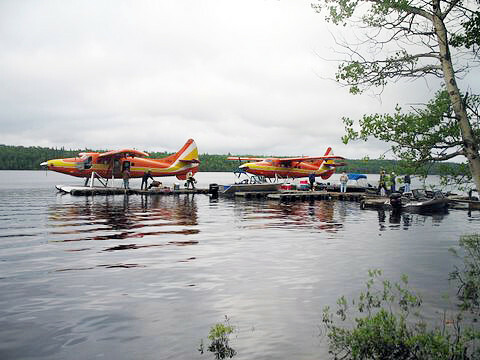 For those parties that are unable to “fly in” or in the event of weather – our service at the outpost extends to getting you in and out regardless of weather conditions via our 21′ Bowriders. Our outpost service staff travel to the outposts on your day of arrival to give you an orientation of the facilities, clean the equipment and ensure that it is in good working order, and keep an ample supply of firewood. Now that’s service! We can accommodate parties of any size from 2-10 people and we offer flexibility in the length of stay from 3 to 7 day packages. You can tailor the day of arrival and departure to suit your schedule, as there is no mandatory Saturday-to-Saturday schedule. 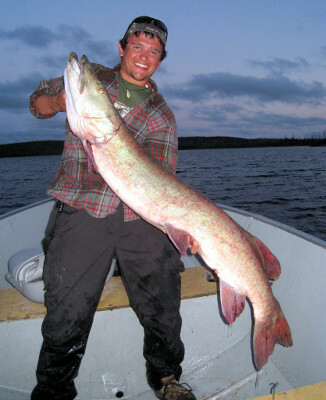 Our season of operation at the outpost camps is the 3rd Saturday in May (May 19th in 2018), which is the walleye opener, and we are open through to early October when the Muskie fishing is at its prime. 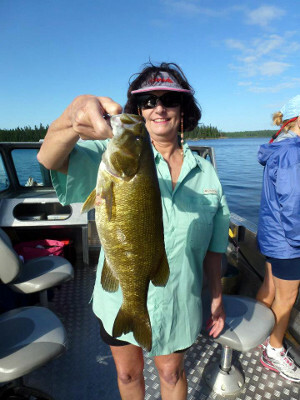 Don’t wait for this incredible opportunity to fish famous Lac Seul from a 1st class outpost. 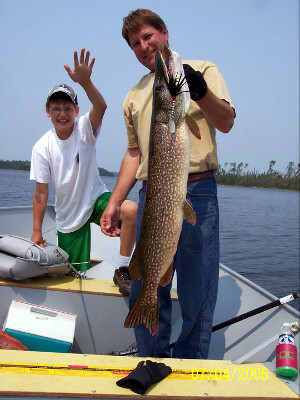 The Anderson’s tradition of quality coupled with world class fishing and impeccable service is waiting! 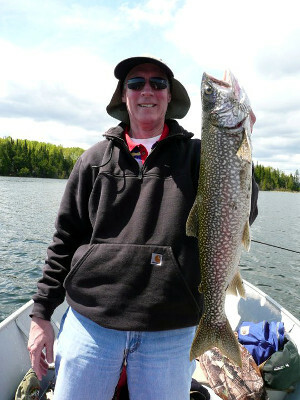 Treat yourself to a first class fishing vacation! 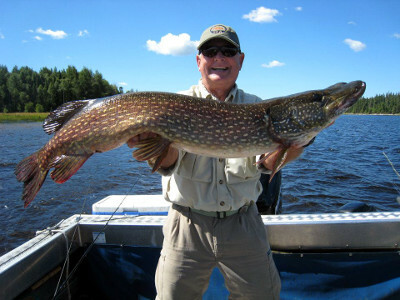 Oh by the way, upon your return don’t forget to register your “Big Fish” releases in the areas Master Angler Release Awards Program (celebrating it’s 23rd year) – fishing Lac Seul will put you “on to the fish” and great odds at becoming a Sioux Lookout District Master Angler. 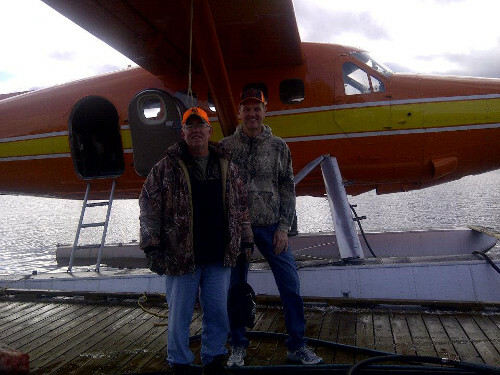 Your outpost package includes your transportation to and from the outpost via float plane from our main lodge, new 16′ Lunds with new 20 h.p. 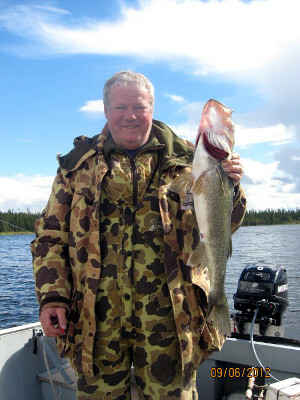 engines (2 people per boat), all gasoline, cabin accommodations and unlimited amounts of ice. 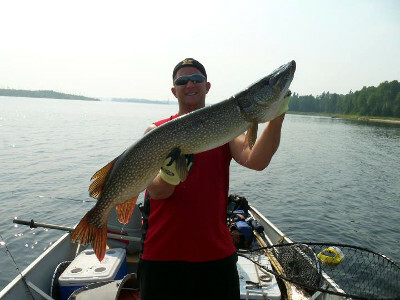 You need only to bring your personal gear, fishing rod, tackle and groceries. 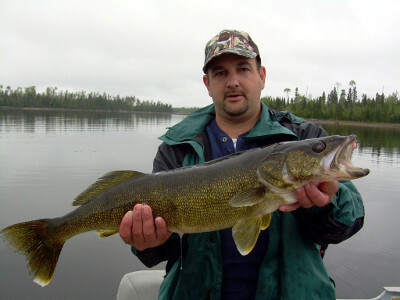 Fishing licenses and bait can be ordered through the lodge prior to flying in. 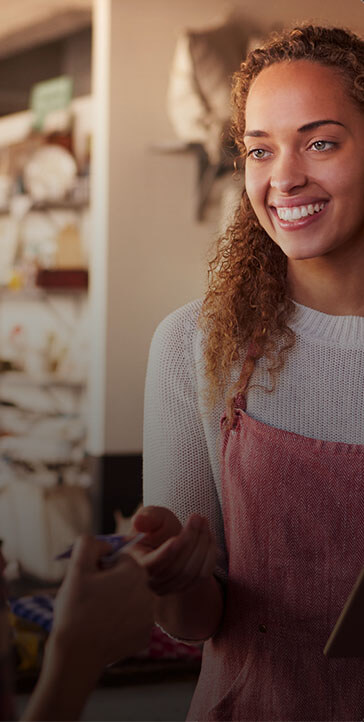 For those wanting to have groceries packed and ready for them, you need only to mail or fax your list and we will provide this service at no additional cost.